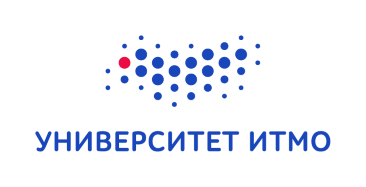 RussianCodeCup → Russian Code Cup 2016 — Announcement. Dates, Prizes, Rules. Meanwile we are pleased to announce that the Russian Code Cup team together with Codeforces project have prepared a small surprise to all those who didn't manage to get to the Final Round of RCC-2016. After the Final Round ends, at 14-05 Codeforces will host online-contest with RCC-2016 Final Round problems. The contest will use ACM ICPC rules and will not be rated. Problems will be in English and in Russian. Problems were prepared for Russian Code Cup Final Round, so they are quite difficult, the contest is mostly suitable for Div1 participants. Of course, we would like to ask the Final Round participants do not use the contest for testing their upsolved solutions, please wait until the end of the online contest and use the problem archive. So, everyone is welcome to watch the Final Round and then to take part in the online-contest! Good luck to everybody! What's the point of making it for div1 only if it's unrated for everyone? Registration opened before Round 372's rating changes, therefore, there are some colors that are wrong in the registrants' list, which is very weird because the ratings are correct. Do you know the meaning of "Recommended" ? Anyone knows if the tasks will be sorted in the order of their expected difficulty? You are wrong. Even few finalists (!) didn't solve any problem. have the problems been sorted by difficulty ? Nobody solved more than 3 problems out of 6. Nobody in this unofficial round solved more than 2 problems. (I didn't solve anything — I started 1 hour late, read the problems, looked at the scoreboard and decided not to bother.) Seems like the contest would have benefited from more time or keeping backup problems e.g. for next year. It seems that N * M <= 10000 was chosen instead of the usual N, M <= 100 such that solutions based on Hall's Theorem fail. My solution is based on Hall's theorem and passed (are there any other solutions?). In the worst case you can handle cases with N = 1 separately, and when N > = 2 it should pass easily. I overlooked the fact that O(n2·m2) passes. Simple implementation for anyone interested — 20743833. Do anyone know the O(n) algorithm of problem B described in the solution? Can be reduced to O(n) with another DFS instead of DSU. Server time: Apr/26/2019 05:59:02 (e1).